How to succeed in a resource limited world. Making predictions about the future is a dangerous game, particularly when that future has never looked more uncertain. Natural resources are dwindling and we are wasting the resources we do have at an unparalleled rate. Climate change threatens our way of life and digital technology is advancing at such a rate as to leave many of us baffled. But far from being all "doom and gloom", these signs point to the emergence of an exciting new wave of innovation. Throughout modern history, the tide of innovation and progress has ebbed and flowed but a clear pattern exists - five waves of innovation, beginning with the Industrial Revolution, have each transformed society, economies and industry. The fifth wave was dominated by information and communications technology but its peak is beginning to fade and a new, brighter star is emerging. The sixth wave of innovation will be about resources - natural resources, human resources and information. With the challenge of a planet running out of essential supplies and a population staring down the barrel of Malthus' dire predictions, the sixth wave will see humanity finally make the break away from resource-dependence. Economic growth will no longer be tied to resource consumption or waste production (such as carbon) and industry will no longer think in terms of products but in terms of services. Everything, from the smallest leaf and light switch to the largest cities and online communities, will have a value that can be measured, so nothing is ever wasted. Driving this will be a spectacular boom in technologies ranging from clean technology to digital mapping to online collaboration. Traditional physical and geographical boundaries will mean nothing in a world where everything and everyone is online. This book is for anyone who is interested in understanding how all of the massive changes in the world fit together. In particular it is for those of us who wish to understand and take advantage of the changes that are occurring around us. 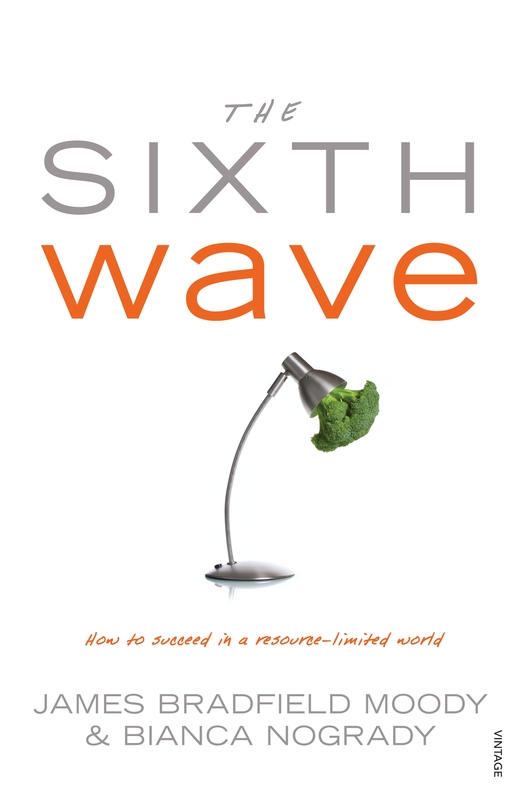 The Sixth Wave is a business book, a motivational book, a popular science title, a bold prediction and a roadmap for the future all in one. Love The Sixth Wave? Subscribe to Read More to find out about similar books.